This course is the Theory instruction portion (Part 1) of the PSB Level III Certification Course. 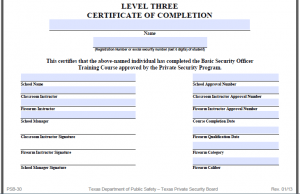 Level III certification requires both Part 1 and Part 2. Before registering for Part 1, you’ll need to secure a commitment from a licensed Level III Trainer to complete Part 2. The Level III Training Course (minimum 45 hours) and test (including course of fire) is required for all commissioned security officers and personal protection officers. This training course must be administered by a licensed Level III Training School and taught by a licensed Level III Instructor. 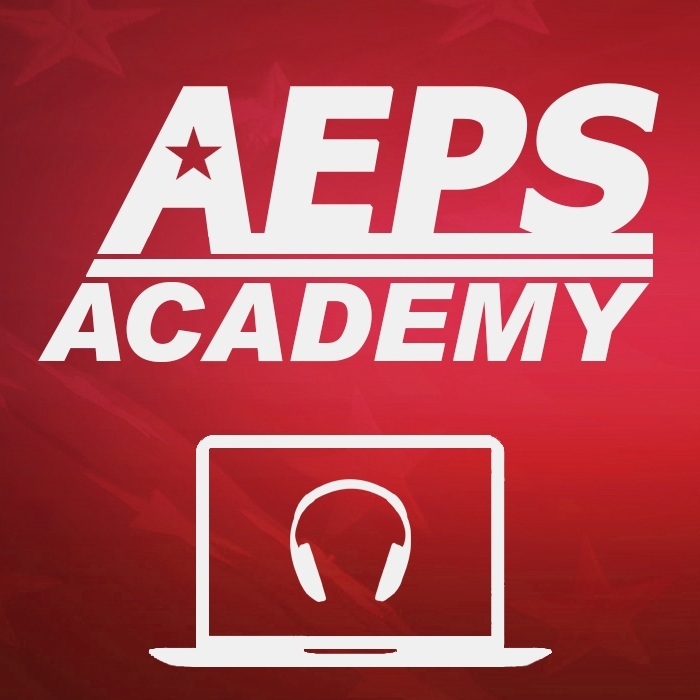 The demonstration of firearm proficiency must be completed within 90 days of the application date. This online course is designed to give the student the Theory based information to successfully pass the Private Security Board Level III written examination. 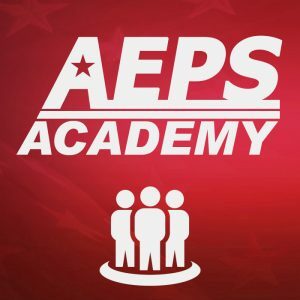 After successful completion of this AEPS Academy course, the instructor will send you a Certificate of Completion and the PSB-30 that will be submitted to the DPS-PSB. The PSB-30 requires the last 6 digits of your SS#. The PSB-30 has to be completed by the Classroom instructor. 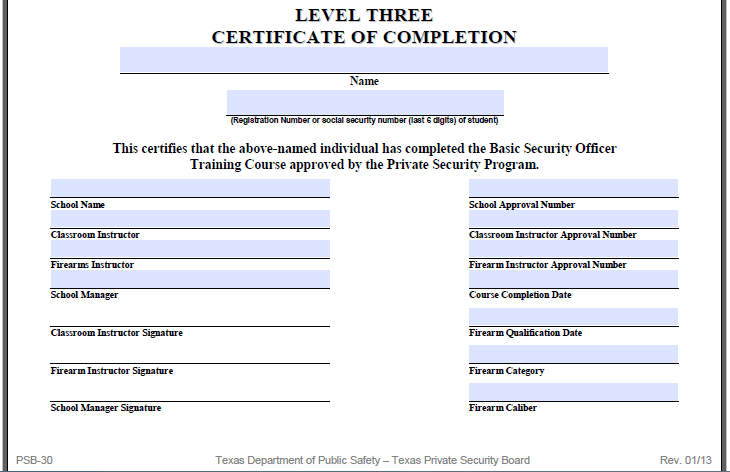 The PSB-30 has to be completed by the Skills/Firearms instructor. The PSB-30 must be presented to a PSB Skills trainer to complete the hands-on portion of training. Submit to DPS-PSB the name and registration number of the Guard Company you are employed with.